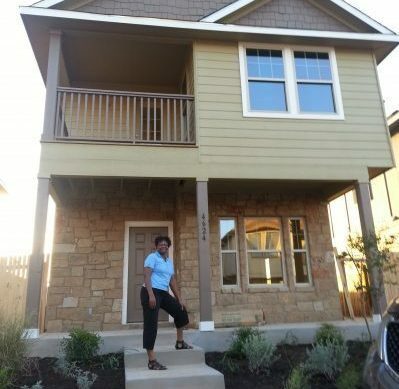 HACA has 18 public and subsidized housing properties totaling 1,839 apartments throughout the city of Austin. Eligible applicants may choose where they would like to live. Residents pay about 30 percent of their monthly household income toward rent. Residents also have access to community development programs that provide assistance with education, job training, youth programs, health and wellness as well as many other programs. The goal is to help each resident maximize their potential and move back into the private rental market and off of assistance. Need support to get connected to services including health and wellness, child care, education and training, transportation, and financial assistance? HACA can help! The Resident Opportunities for Self-Sufficiency (ROSS) Program is designed to help adults and youth living in public housing set and achieve goals related to economic self-sufficiency. The program is divided into sets of goals related to education, employment, financial management, parent leadership, homeownership, and youth leadership and development. The program is self-directed and self-paced. Once a resident becomes a member, they work with a HACA specialist to personalize their goals and determine which local organizations can help make their goals a reality. As members complete various trainings and tasks and achieve goals, they become eligible for incentives from HACA or its partners. Qualifying members that are working or going to school can receive access to support services like child care, bus passes, and funds to pay for GED classes and testing to help ensure their success. Candidates for ROSS are public housing residents that are interested in becoming more economically self-sufficient, but are not ready to make the five-year commitment of the Family Self-Sufficiency program. The ROSS program is a flexible and ideal step to prepare for the FSS program. Helping children to develop dreams and goals at a young age is a key to future success and motivation. The Youth Educational Success (YES) Program exists to support children’s success in school, provide fun and enriching after-school and summer programs, and develop beneficial social, communication and problem-solving skills. The youth of today are tomorrow’s leaders. HACA gives kids the tools they need to stay in school and grow into successful adults. The YES Program supports activities and programs to support children academically, socially and emotionally during school hours, after school and in the summer. The YES Program is a vital component in the effort to break the poverty cycle, as over half of HACA residents are under age 18. Working with the community, HACA sponsors in-school case management services for students, after-school tutoring programs on site at HACA communities, an academic incentive program and higher education scholarship programs. Additionally, HACA’s YES Program coordinates with local providers of quality after-school enrichment programs to ensure youth are engaged in healthy, safe and meaningful activities during out of school time. Doing well in school has its rewards. And for HACA students, good grades and attendance are extra rewarding! Students who have made the A/B honor roll and/or have perfect attendance can earn a gift card each grading period, and those with these achievements throughout all periods have a chance to attend a fun year-end trip. Past incentive trips have included bowling, laser tag, miniature golf, and lunch at the Main Event Fun Center. 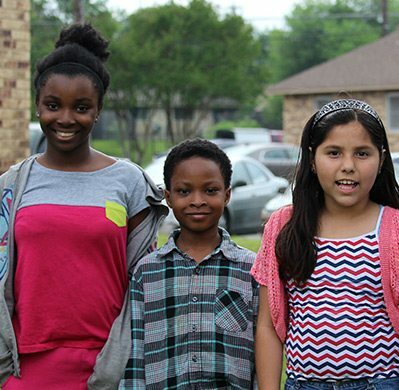 Communities In Schools (CIS) provides school-based case management to HACA youth who live at Rosewood, BTW, Chalmers, Santa Rita, Meadowbrook and Bouldin Oaks. Elementary school sites include Oak Springs, Zavala, Becker and Dawson; Middle school sites include Kealing and Fulmore; Travis is the only High School site. The in-school case management program focuses on academic progress, social and emotional support, crisis intervention, peer networks and family support. The Boys and Girls Clubs of Austin provide safe, positive places where children can build their futures as responsible and caring citizens. These clubs provide on-site, off-site, after-school, school break and summer activities for HACA youth. Programs include educational, cultural, risk-prevention, technology and recreational activities. HACA’s Thurmond Heights, Chalmers Courts and Meadowbrook clubs serve HACA youth ages 6-17, with approximately 400 youth participating annually across these three property-based clubs and the community-based East Austin club adjacent to Booker T. Wasington. Clubs are open Monday – Friday, 3pm – 8pm and at 10am during the summer. The Boys and Girls Club is the positive place for kids! Creative Action provides afterschool and Saturday arts programming at Santa Rita through a grant provided by the City of Austin to serve the Holly Street neighborhood. Youth ages 6-13 engage in arts activities while working individually and cooperatively on social and emotional skills with the guidance of skilled teaching artists. Summer camps are provided at two to three HACA properties, and spring break and weekend activities are scheduled to begin in 2017 at additional locations. Girl Scouts is the opportunity of a lifetime for all girls ages 7-11. The mission of Girl Scouts is to build young women with courage, confidence and character who are prepared to meet real-world challenges and make the world a better place. Girl Scouts of Central Texas serves HACA youth from Georgian Manor, Santa Rita, Shadowbend, Manchaca Village, Booker T. Washington, and Northgate properties. The program currently meets three times per week and serves more than 80 young women. The Boys Scouts of America provide an educational program for boys and young men to build character, train in the responsibilities of participatory citizenship and leadership, and to develop personal fitness. The Boy Scouts currently meet at Georgian Manor and Booker T. Washington. Parenting classes are provided by Any Baby Can and are offered at Booker T. Washington, Bouldin Oaks, Georgian Manor, Santa Rita, Chalmers Courts, Rosewood, Meadowbrook, and Thurmond Heights. Classes focus on issues including communication and active listening, expressing emotions, limit setting, encouraging independence, choosing appropriate methods of discipline and media influence. Classes include a family development component that includes time set aside so that parents and children can discuss and practice new skills together. CIS SmartKids provides afterschool tutoring and enrichment activities at four HACA sites: BTW and Santa Rita (also serving Chalmers youth) – each four times per week; and Meadowbrook and Bouldin Oaks – each twice per week. SmartKids, complements the CIS in-school Case Management program, with approximately 75% of participants attending both. CIS staff at Travis and Eastside Memorial High Schools assists HACA high school students with career exploration, college tours, testing, financial aid applications and scholarship applications through Compass to College. The program was recognized with an Award of Excellence at the National NAHRO conference in October 2015. HACA, in collaboration with Child Inc. and Mainspring Schools, maintains an Early Head Start program at Meadowbrook. In early 2016, the former Meadowbrook management office was renovated and transformed into a high-quality early childhood education center for infant to 3-year-old children of HACA and community residents. Child Inc. administers the federal Head Start grant, Mainspring Schools provides quality teachers and curriculum, and HACA provides the building at Meadowbrook at no cost. Play To Learn is an alternative to cost-prohibitive early childhood education and preschool programs, which coaches parents to foster school readiness at home. Parents and their young children attend classes and learn together from a qualified early learning coach through the use of a Samsung Galaxy tablet pre-loaded with age-appropriate and educational applications for children, as well as bookmarked websites and parenting videos for parents. Families that participate in the 10-week program and attend 80% or more of the classes earn a tablet at the end of the program. Latinitas is dedicated to empowering Latina youth through use of media and technology. As part of the Austin Pathways Digital Inclusion program, Latinitas is providing monthly digital media and technology workshops for families at Meadowbrook, Bouldin, Shadowbend and Manchaca Village. “Girls Leading Girls through Tech” engaged 7th – 12th grade girls in video gaming, animation, 3-D storytelling and creating “apps,” with a final field trip to participate in a showcase at SXSW Interactive. Girls who complete 80% of the classes are eligible to earn a tablet. HACA partners with several key organizations to provide training, education and job readiness, search and placement assistance. Each program is free to residents, and many are located in property community rooms for convenient access. HACA also provides bus passes and childcare reimbursement for qualified residents, to support their pursuit of education and training. Many workforce development programs are conveniently located in HACA community rooms. HACA also provides bus passes and child care reimbursement for qualified residents, to support their pursuit of education and training. For more information, contact the on-site Resident Opportunities Self-Sufficiency (ROSS) Specialist, Jobs Plus Career Coach, or your Family Self-Sufficiency (FSS) Coordinator. HACA has two programs described below that provide financial assistance for childcare for qualified public housing residents. Participants must be enrolled in a self-sufficiency program and working or actively seeking employment, attending school or a job training program, or a combination of both. Both childcare programs are time-limited and have a cap on the amount of financial assistance that will be provided. CHILDCARE VOUCHER PROGRAM: The Childcare Voucher Program provides monthly payments directly to a licensed childcare provider for the children of residents working or attending training thirty or more hours a week. Invoices and attendance logs are provided to HACA and the provider is paid directly. Residents that need ongoing childcare assistance are encouraged to apply for ongoing subsidy through the state funded Childcare Management System (CCMS) operated through Workforce Solutions. CHILDCARE REIMBURSEMENT: The Self Arranged Childcare Reimbursement (SACR) program assists residents who are working or attending school less than 30 hours per week. 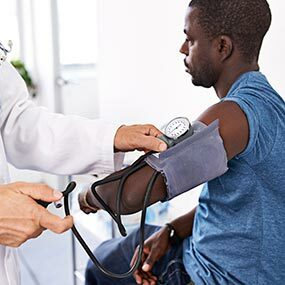 Residents identify a family member, trusted neighbor or friend who is able to provide care for their children while the resident is working or going to school. The resident sets up their own payment system with the childcare provider. HACA then provides a pro-rated reimbursement for each day that care is provided. Contact your Resident Opportunities for Self-Sufficiency (ROSS) Specialist, your Family Self-Sufficiency (FSS) Coordinator, or a Jobs Plus Career Coach for more information. HACA currently contracts with Goodwill for two full-time Career Navigators who maintain office hours at the Job Source Center at Rosewood, as well as at Meadowbrook and Georgian Manor Apartments. Goodwill provides job readiness training, soft skills training, case management, life skills training, job search assistance, job placement and job retention services. Goodwill also offers access to rapid career employment training in high demand industries, and access to temporary, temp to permanent, and permanent jobs through its staffing agency. For information, call your Resident Opportunities Self-Sufficiency (ROSS) Specialist, a Jobs Plus Career Coach, or your Family Self-Sufficiency (FSS) Coordinator. You may also call Goodwill at (512) 480-0772, (512) 474-2681 or (512) 476-4761. 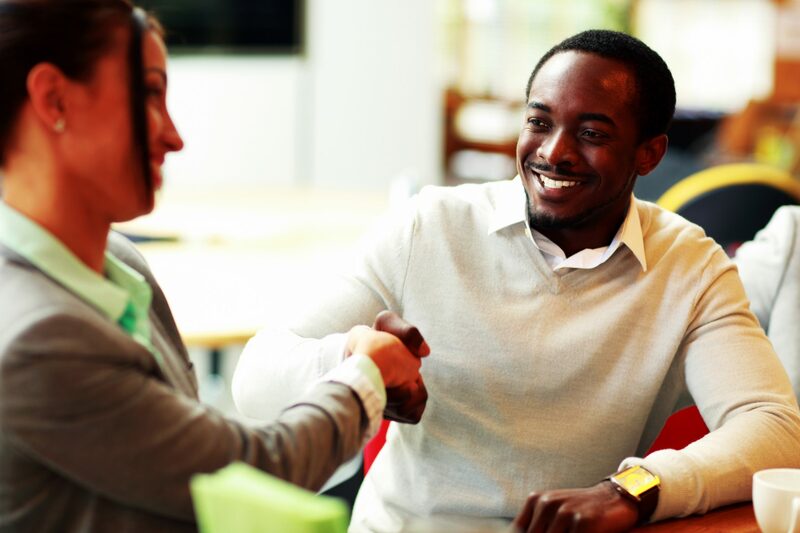 The Literacy Coalition’s Learning Center provides workplace competency classes designed to help participants gain foundational workplace skills for entry or re-entry into the workforce. The center also offers supportive and self-paced Adult Basic Education and GED preparation classes . Orientations are 5:30 p.m. every Thursday, and morning and evening classes are available. The Learning Center is located at 1640-B East 2nd St., Suite 100. For information, contact your Resident Opportunities Self-Sufficiency Specialist (ROSS), a Jobs Plus Career Coach, or your Family Self-Sufficiency (FSS) Coordinator . You may also call the Learning Center at (512) 326-8655. Austin Community College (ACC) offers Adult Basic Education, GED preparation and ESL classes. For information, contact your Resident Opportunities Self-Sufficiency (ROSS) Specialist, a Jobs Plus Career Coach, or a Family Self-Sufficiency (FSS) Coordinator. You may also contact the ACC Adult Education office at (512) 223-7532. Registration is handled at each site, and walk-ins are welcome. Skillpoint Alliance provides industry-specific job skills and computer skills training to prepare residents for successful careers. Program offerings include certification programs that provide residents with the skill needed for entry-level employment in the health care, manufacturing and the construction industries. For more information, contact your Resident Opportunities for Self Sufficiency (ROSS) Specialist, a Jobs Plus Career Coach, or your Family Self-Sufficiency (FSS) Coordinator . You may also call Skillpoint Alliance at (512) 323-6773. Austin Area Urban League (AAUL) provides job readiness and Essential Office Skills (EOS) training, case management, Pathways to a Career training, and job search and placement assistance, under HACA’s Workforce Continuum. They may also offer internship opportunities to residents in training, when appropriate. AAUL has office hours at Meadowbrook, BTW and Georgian Manor, and also provides services at their offices at 8011 Cameron Road. For more information, call (512) 478-7176. BEACON Workforce Development provides career assessment, case management, job readiness and employment placement for adults under the HACA Workforce Continuum. These direct and supportive services help HACA residents remove barriers to employment and achieve job success. BEACON has particular expertise in helping those who are judicially involved or have a criminal history. Beacon Workforce has office hours at Meadowbrook, BTW and Georgian Manor, and also provides services at their offices at 6633 U.S. 290 East. For more information, call (512) 428-4480. Located in Eastland Plaza, 1144 Airport Blvd., the Economic Growth Business Incubator (EGBI) is a hub of innovation for both new and seasoned entrepreneurs. The resource center was formed to support residents and community members interested in starting a business. EGBI provides participants with the training, skills and resources to own and operate a new business and grow a successful business. EGBI provides office space, materials, computers, and classes in business management. EGBI also offers access to micro-lenders for small business loans. For more information, call (512) 928-2594. The Jobs Plus ATX team consists of a collaborative group of HACA staff and partner organizations who specialize in various employment, educational, and financial literacy services. Residents receive financial incentives that make work pay by allowing their rent to be essentially frozen during participation in the program, rather than increasing with income from a new job or a raise. Jobs Plus ATX is designed to build a culture of work and a community that empowers and celebrates the achievements of residents pursuing self sufficiency goals. Jobs Plus ATX also offers incentives for getting and sticking with a job. By signing up for Jobs Plus ATX, residents become eligible for Jobs Plus Earned Income Disregard (JPEID). When a resident is on JPEID, 0 percent of their wages from new employment or an increase in earnings at current employment are counted when calculating rent. This means that residents’ rents will not increase because of an increase in earned income. Financial coaching and training will be available to all participants. 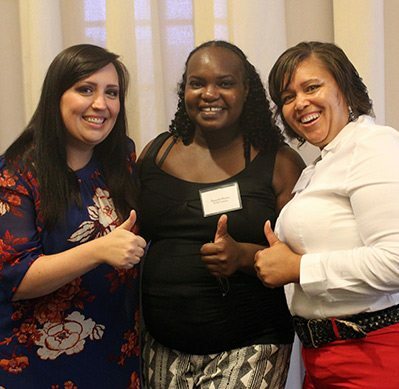 Jobs Plus ATX staff will promote 100% empowerment as residents move their way up in the career of their choice and on their way to earning higher wages and becoming financially independent. Are you a leader in your community? Have you finished school or worked recently? Do you like to talk to your neighbors, share information and encourage their success? You may be just the person to work for Jobs Plus ATX as a Jobs Plus Community Liaison. Community Liaisons are residents of Chalmers Courts or Booker T. Washington Terraces that work 10-20 hours per week on behalf of Jobs Plus. In addition, employment success will be celebrated by the whole community. Jobs Plus will be hosting a variety of events like hiring fairs, various recreational activities, gatherings for Jobs Plus ATX participants and community members, and events that recognize and celebrate major achievements. If you are interested in becoming a Jobs Plus ATX participant or Community Liaison, please contact Kate Levell at katel@hacanet.org or call (512) 477-4488 ext. 3415. Our city’s low-income seniors and persons with disabilities deserve an accessible and supportive environment to age in place and thrive. HACA dedicates four of its 18 developments to housing seniors and individuals with disabilities, and provides wrap-around programming to support residents’ unique needs. Moreover, all 18 of HACA’s communities house older adults and disabled individuals who are connected to supportive services through ROSS and Resident Wellness Specialists. 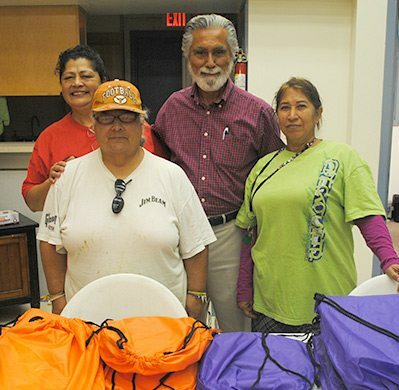 HACA partners with local community organizations to develop programs to make life a little easier. 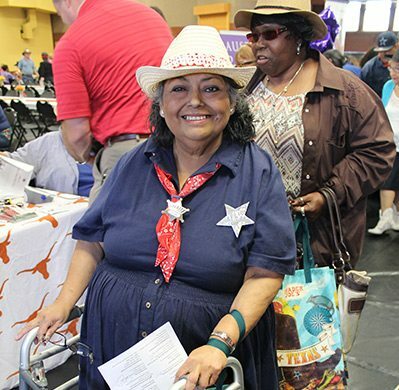 Celebrated during Older American’s month, HACA Mayfest is an opportunity for seniors and persons with disabilities from all of HACA’s properties to come together for entertainment, camaraderie, health and wellness information and food. Organizations that provide services to seniors and individuals with disabilities are invited to set up booths and provide information, demonstrations and give-aways. Each Mayfest has a theme and residents are encouraged to get into the spirit of the celebration. To find out more about this year’s Mayfest, talk to your Property Manager. BADGERDOG WRITING CLASSES: Badgerdog offers eight-week creative writing workshops for HACA’s seniors and individuals with disabilities, at HACA’s elderly/disabled designated properties. Classes may focus on a variety of literary genres, or just on fiction, poetry, or nonfiction. Workshops typically meet weekly for 90-minutes one time per week. Participants’ work is published at the end of each session in a chapbook, and each workshop concludes with an on-site reading open to family and friends. MOBILE ART PROGRAM: The Mobile Art Program delivers art activities to seniors and adults with disabilities that focus on how art may be used as a coping mechanism and emotional outlet. Art becomes the vehicle for expression, developing relationships, and understanding experiences. Art is also used to help build self-esteem, social networks and and increase participant’s cognitive skills – leading to increased overall health. WeViva provides affordable and accessible fitness and nutrition programs to people in low-income communities throughout Austin. Classes are provided for free and on-site to participants at partner organizations that value and prioritize their residents’ health. All group fitness are free to participants and are bilingual. WeViva provides modified strength training and chair exercise to HACA seniors and persons with disabilities. WeViva aims to remove barriers that people face when making the decision to prioritize their wellness. Each person has a unique life story; HACA is here to help families write their own happy endings. The Family Self-Sufficiency (FSS) Program was established in 1993 to empower residents through support and connection to community resources that can help them become free of public assistance. Nearing its 25th anniversary, HACA has helped hundreds of FSS members to achieve economic self-sufficiency. HACA’s rental assistance can serve as a springboard that enables families to focus on their lifelong educational, financial, and career goals. The FSS Program is a voluntary program that assists HACA residents and Housing Choice Voucher participants in achieving the ultimate goal of employment in their career field. FSS Coordinators work with members to create a five-year plan. These steps may include education, job training, job readiness, financial management, and preparing for homeownership. As an FSS participant’s rent increases, due to earning higher wages, a portion of the increased rent payment is credited monthly to an escrow account, that they will receive upon graduation. The agency honors the FSS graduates’ achievements each year during the Family Self-Sufficiency and Homeownership graduation ceremony. The goals and accomplishments of each FSS member are announced and acknowledgement is given to their future career, homeownership and educational aspirations. Ready to get started on your future? The Family Self-Sufficiency program can help you map out a path to a better future for you and your family. Your Resident Council needs you! Keep up to date on the latest information related to your property and share important feedback and input. Each property-based Resident Council serves as the voice of the residents at that property. Since each development has specific issues and opportunities, each needs their own representation – make sure that your needs and your neighbors are heard by attending your Resident Council meetings. As a resident, you are automatically a member of your Resident Council. Resident Councils have officers and board members who are elected by the residents. They include a president, vice president, secretary and treasurer. The most important person in the Resident Council is you! Participate and be heard. WHAT DOES THE RESIDENT COUNCIL DO? Although each Resident Council is unique, most discuss needed property improvements, organize social events, participate in safety and security programs, and help with senior and youth activities. Some Resident Councils have a welcoming committee for new residents and others produce a resident newsletter. In addition, your Resident Council can be an important advocate on behalf of you and your neighbors. HACA provides each Resident Council with an annual fund to help with the cost of activities. The use of these funds is voted on by the council members on a monthly basis. HOW DO I FIND OUT ABOUT MY RESIDENT COUNCIL? Contact Resident Council Liaison Mary Gonzales-Limas at maryg@hacanet.org. Also, watch for flyers about meetings and events. Most Resident Councils have monthly meetings where they make decisions about upcoming activities. WHAT IF THERE IS NO RESIDENT COUNCIL WHERE I LIVE? Recruit a few neighbors and take the initiative to start one! Resident Council Liaison Mary Gonzales-Limas can provide guidance. The cost of furthering your education doesn’t have to be overwhelming. 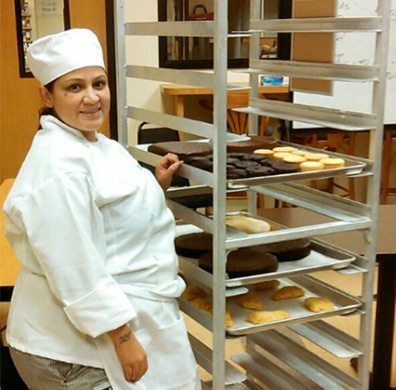 HACA has many resources available to residents who plan to attend college or a trade school. HACA offers scholarships exclusively for HACA’s public and subsidized housing residents and Housing Choice Voucher participants. 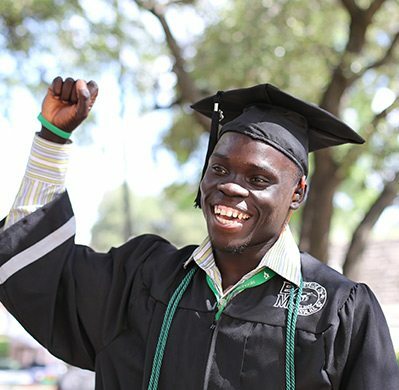 The HACA Austin Pathways Resident Scholarship was designed in 2001 to inspire and support HACA residents and Housing Choice Voucher participants planning to attend an institution of higher education. The scholarship serves as a vehicle of hope to individuals who desire to further their education and work toward self-sufficiency. A current HACA public or subsidized housing resident or Housing Choice Voucher participant. A graduating high school senior or already have a high school diploma/GED. Currently attending or planning to attend a college, university, technical school, or other post-secondary school. Note: If you are currently attending or have previously attended a post-secondary school, you must have a cumulative GPA of 2.0 or greater (transfer credits are not considered in this GPA). The Austin Pathways HACA Resident Scholarship is supported by Austin Pathways, as well as other nonprofit HACA subsidiaries. The scholarships are available annually on a competitive basis, and the award amount varies from year to year, depending on the availability of funds. Scholarship opportunities are typically posted in January for funding available in the fall of the same year. Austin Mexican Consulate Scholarship – Deadline April 30, 2019. Applicants will be required to complete a 2019-2020 FAFSA or TASFA application​ and write two essays. The scholarship application will also ask students to provide two professional references and provide a resume. Southwest Regional Council NAHRO Scholarship Program – Deadline April 5, 2019. The Southwest Regional Council NAHRO Scholarship Program provides scholarship opportunities to families that reside in, work with, or who otherwise receive housing benefits from one of the member agencies of the Council. Texas NAHRO Scholarship – Deadline February 22, 2019. HACA Residents must turn in their applications to HACA by Monday, February 18, 2019 so HACA can sign the Verification Certification and send with the application. The Six-Star Resident program offers affordable housing opportunities to HACA residents while they work to overcome barriers to self-sufficiency. Participants have a choice to reside at one of Austin Affordable Housing Corporation’s Apartment Communities at a reduced rental rate. The Six-Star Resident Program must be completed within three years and an escrow account is established to provide financial assistance upon completion of the program. Interested participants will be subject to a credit and rental history check, must pass a criminal background check and must not have any outstanding balances owed to HACA. Additionally, participants must have lived in public housing for a minimum of one year and be in good standing. After becoming a Six-Star Resident, all public housing assistance is discontinued. For more information on HACA’s Six-Star Resident Program, please call Home ownership Coordinator, Suzanne Schwertner, at (512) 477-4488 ext. 2118. Imagine a house with two, three, even four bedrooms and a yard in a neighborhood that you’re proud to call your own. The dream of home ownership can be a reality through HACA’s Down Payment Assistance Program. If you’re a resident of HACA’s public or subsidized housing or a Housing Choice Voucher participant, and you are a first time home buyer, you may qualify to receive down payment assistance. You must be a HACA resident. You must be a first-time home buyer or cannot have owned a home in the last three years. You must be able to contribute a minimum of $2,500 toward the down payment, closing costs or reserves. You must attend and complete a HACA-approved home buyer training course. If all of the above criteria are met, HACA’s Down Payment Assistance Program will provide funding of $10,000 towards the down payment. Program funds are on a first come, first serve basis. You will not have to pay back the loan unless you default on your house payments. If you do not default on your mortgage payments, your loan is forgiven after five years! For more information on HACA’s Down Payment Assistance Program, please contact Suzanne Schwertner, Residential Mortgage Loan Originator, NMLS #329226 for the Austin Affordable Housing Corporation, NLMS #329395, 1124 S. IH-35, Austin, TX, 78704, at (512) 477-4488 ext. 2118. The department maintains a recovery fund to make payments of certain actual out-of-pocket damages sustained by borrowers caused by acts of licensed residential mortgage loan originators. A written application for reimbursement from the recovery fund must be filed with and investigated by the department prior to the payment of a claim. For more information about the recovery fund, please consult the department’s website at: www.SML.TEXAS.gov. HACA implemented a smoke-free housing policy for all of its residential properties on September 1, 2015 to create a healthier, safer, and cleaner living environment for all of its residents. Smoking is prohibited in HACA units and in common areas including outdoor patios, hallways, stairwells and parking lots. Smoking is only allowed in designated outdoor areas. This policy applies to any and all persons entering HACA housing properties including HACA residents, guests and visitors, partners, contractors and HACA employees. HACA’s Smoke-Free Housing Policy is focused on the act of smoking, not the smoker. The purpose of the policy is to create a healthier, safer, and cleaner living environment for all residents. The U.S. Surgeon General has warned that breathing secondhand smoke for even a short time is dangerous. Smoke migrates between units in multi-family housing and HUD has strongly encouraged public housing authorities to adopt a smoke free policy since 2009. In 2016, HUD required all housing authorities to go smoke free. Smoking is defined as inhaling, exhaling, burning, or carrying any lighted cigar, cigarette, electronic cigarette, pipe, weed, plant, or any combustible substance in any manner or in any form. A 2013 survey shows that the majority of HACA residents support a smoke-free policy. The survey also found the majority of residents are non-smokers but have experienced and are bothered by tobacco smoke entering their homes. A significant percentage of tenants reported having asthma and/or other health conditions like lung disease and cancer. Overall tenants showed support for health programming and interest in smoking cessation assistance. Smoking is only allowed in areas designated by HACA with smoking signs. Tenants are required to sign a lease addendum acknowledging HACA’s smoke-free policy. Violation of the smoke-free policy will be considered a breach of the lease and may be grounds for eviction. 4th violation – 30-day notice of lease-termination. HACA may suspend lease termination process if the family agrees to attend a HACA approved smoking cessation class and present HACA with a certificate of completion and a signed commitment to comply with HACA’s Smoke-free Housing Policy. Enforcement progression is based on violations per household, not per tenant. 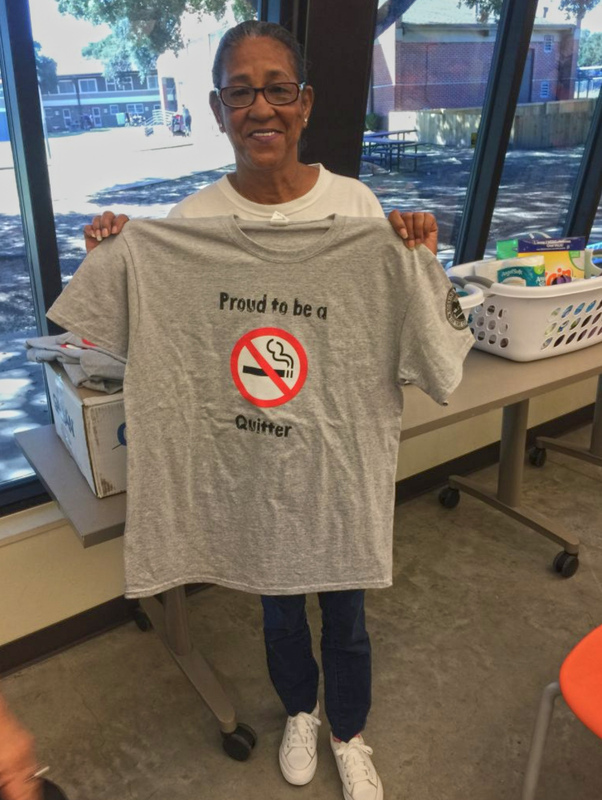 HACA partners with Austin Travis County Integral Care to provide residents that are ATCIC clients with access to free smoking cessation services and products. HACA is also pursuing additional partnerships to provide free or low-cost cessation services through other community organizations. Any questions about HACA’s smoke-free policy should contact Pilar Sanchez, HACA’s vice president of Housing and Community Development at (512) 477-4488 EXT 2108, or pilars@hacanet.org. HACA is improving quality of life for low-income families by using technology to support economic independence. Digital equality directly enables workforce development, education, social inclusion, and health & civic engagement opportunities. Skillpoint Alliance provides workforce development training to help residents prepare for successful employment. HACA engages with Skillpoint Alliance to provide the Gateway Program. Skillpoint also is the training partner for the Lab Apprentice Program. Austin Free Net classes offer individualized, flexible, and foundational instruction in a self-paced manner. Upon completion of 80 percent of the classes residents can earn a free refurbished computer. Austin Free-net also offers a more advanced class, Tech Starters II and web design. Five female HACA residents have also participated in Austin Free-Net’s TechnoWomen training and apprenticeship program, to gain comprehensive IT training intended to lead to living wage employment within the IT industry. The Lab Apprentice Program (LAP) offers computer lab assistance and support at property-based computer labs, through the use of paid apprentices who have received foundational and ongoing monthly training in digital skills and computer lab monitoring. The Lab Apprentice Program is an opportunity for residents to build their technology skills and confidence, to support and train fellow residents, to assist their community, and to support skill-building and employment potential amongst themselves and their peers. 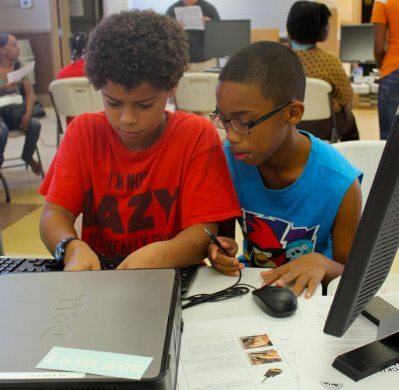 For more information about how to get involved with HACA’s digital literacy programs, call (512) 740-6385. We know meeting the basic needs of our residents goes beyond providing a decent place to live. Our holistic approach to housing incudes making sure our families have access to programs that offer essentials like affordable basic health care, healthy food, and wellness activities. In February 2017, HACA expanded its partnership with the Central Texas Food Bank, to offer the federal Senior Grocery Program to adults age 60 and over (and at or below 130% of the Federal Poverty Guideline). The program provides 30 pounds of shelf stable groceries and cheese to participants monthly. Food boxes are disseminated by CTFB staff at each of the 14 participating HACA properties on a designated day each month. Currently, over 240 HACA seniors have enrolled in the program. HACA also partners with the Central Texas Food Bank to participate in the USDA’s Summer Lunch Program. HACA has offered this program at eight of its family properties for the last four years, offering adult residents a stipend to serve as lunch monitors and report on program participation. A total of 9,125 lunches were served to HACA youth during the summer of 2016. HACA will continue its participation in the Summer Lunch Program and partner with BookSpring for Read and Feed activities on Fridays throughout the summer. 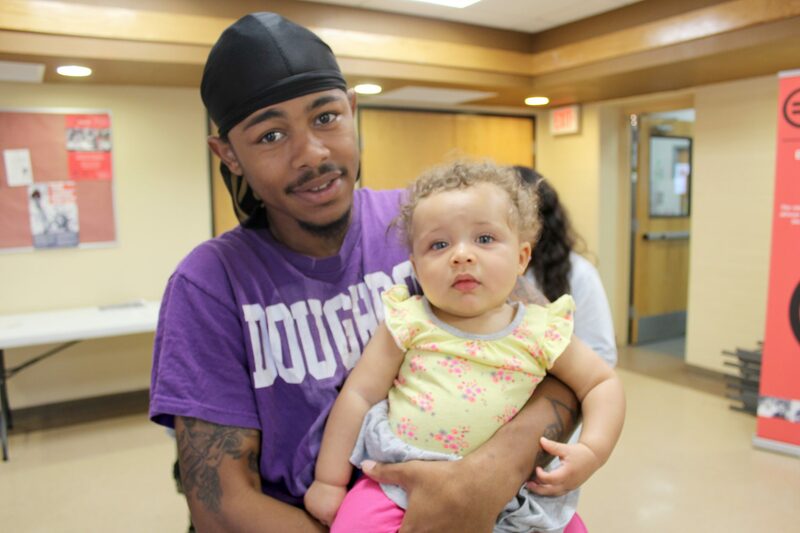 The I-DADS (Involved Dads of Action, Developing and Succeeding) program provides low-income fathers/fathers figures age 18 and older who have children living in HACA public housing; mentoring and access to supportive services designed to combat the cycle of poverty and promote self-sufficiency by strengthening families. HACA partners with Isaac Rowe, the founder of The Man in Me, to facilitate the agency’s I-DADS program. I-DADS focuses on male accountability and growth as an individual, partner and father. I-DADS provides three orientation activities promoting the program at the assigned HACA locations. The program consists of 10 weekly sessions and three cohorts with a minimum of five participants, held at HACA properties yearly. During the weekly training sessions participants have an opportunity to develop skills and resources to improve their finances, health, communication and job skills; anger management, making positive choices, developing self-esteem and confidence, and being a positive role model for their children. The program also hosts a men-only field trip and a family focused program graduation. For more information about I-DADS, contact Josh Banks at joshuab@hacanet.org. Have you shared your comment or concern with your manager? Let us try to help. Are you sure you have turned your issue into your manager? If you have and the issue is still unresolved, the next step is to contact your Community Director. Fill out the following information and send it in. It will be important that you give us the dates you went through steps #1 & #2.